The Wallet on your iPhone provides you with access to credit cards, loyalty cards, plane tickets, and more. You may sometimes need to show these items in situations that don’t require you to unlock your phone, so Apple has made them accessible from the lock screen. Unfortunately it can be very easy to activate the wallet by accident, which can be frustrating when it happens often enough. Additionally, if you aren’t using the Wallet feature very much, you might decide that you are better off simply preventing access to it while your phone is locked. Our guide below will show you how to configure that functionality. The steps in this guide were performed on an iPhone 7 Plus in iOS 10.3.2. These steps are going to prevent you from being able to access your wallet without unlocking your phone. 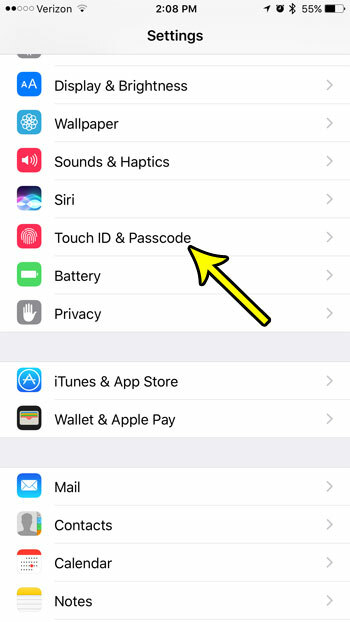 Additionally, if there is a passcode set for your iPhone you will need to know that passcode before you can change this setting. Once you have disabled the wallet from the lock screen you will be able to access it from the Wallet app on the phone. 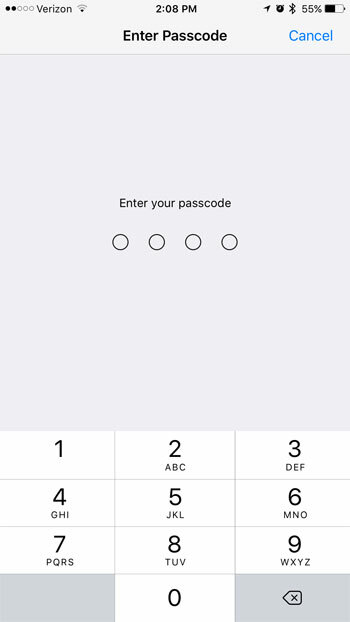 Step 3: Enter the current device passcode, if one is set. Step 4: Scroll down to the Lock Screen section and tap the button to the right of Wallet to disable it. 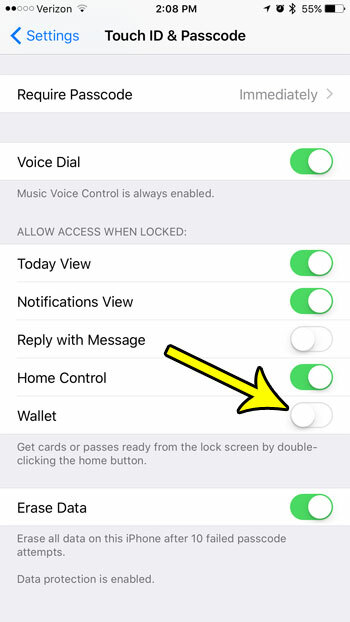 You will no longer be able to access your wallet from the lock screen when there is no green shading around the button, and the button is in the left position. I have disabled access to the wallet from the lock screen in the picture below. Would you like to be able to change some settings on your iPhone without unlocking your phone? Learn how to enable access to the Control Center from the lock screen so that you can use the flashlight or calculator, adjust the brightness, and more.